The Hyundai i20 had already hit our archive in our IAB specials column, when it was unveiled at the Paris Motor Show. Missed it? Click here for an exhaustive premier report (styling,specs,technology,etc..). 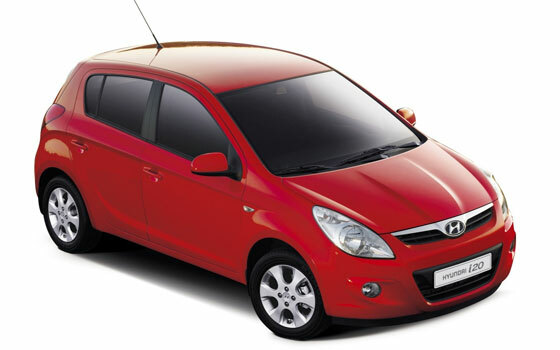 Hyundai has just revealed that the i20 will hit the Indian roads this November. Hyundai i20 had been designed especially to meet the European consumer needs. Like the i10, the Indian customers can taste the upmarket features of an international car once again;for a nominal price, due to local manufacture. An Excellent strategy - favors both the manufacturer and the customer. The i20 will be made in the Chennai plant for export and domestic sales. 30% of the Hyundai production will be done from Chennai plant only by 2009. Rise of the Koreans - How did Hyundai transform itself?